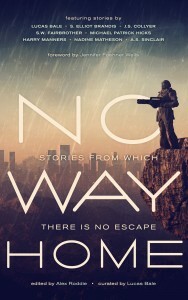 I’m excited to announce I have a story coming out in a new Science Fiction anthology titled No Way Home. Sci-fi is a bit of a departure from my usual genre, although I read plenty of it. I loved the challenge, and I’m really happy with how my story has turned out. I hope you’ll like it too. The anthology features some of the greatest up-and-coming speculative fiction authors on the indie scene. You’ll find stories from Lucas Bale, Harry Manners, Alex Roddie (writing as A.S. Sinclair), S.Elliot Brandis, Michael Patrick Hicks, J.S. Collyer, Nadine Matheson, and me, of course. I’ve had a sneak peek at some of the other stories in the collection, and trust me when I say you don’t want to miss them. Expected Release date: 2 March 2015. I’ve had a few people tell me that while they enjoyed A Murder of Crones, it did take quite a different tack to what they were expecting: no zombies, not much of the police procedural etc. This was done on purpose. 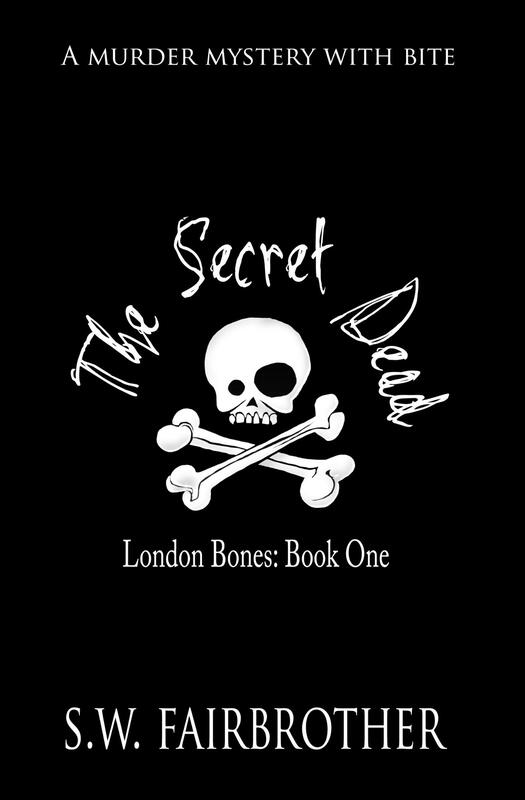 I wanted to get Vivia’s backstory out of the way so I could get on with exploring the London Bones universe. The next book is going to focus on a problem within Zee’s hive and I’m very excited about it. I’ve been invited to contribute a longish (10,000 words) short story for an anthology that will be published in October. I’ve got some great ideas for it, but one of the wonderful things about publishing independently is that I can be really flexible about what I put out there. I thought I might take requests and give you what you want to read. So tell me, what do you want to know? Any particular character you’d like to see shoved into the spotlight? So, I have a character in the new book who is a doctor and I haven’t figured out his name yet, so for now he’s just Dr X in my notes and the first draft. And then, because I was procrastinating (as you do), I googled Dr X and by god, there are a lot of them in fantasy/sci fi. The first one gets away with it, but after that? 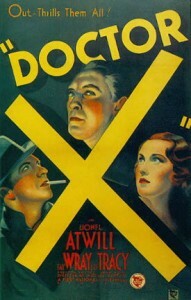 I can’t help wondering how many writers did what I’ve done because they haven’t decided on a name, and then just think: ‘Actually, just Dr X sounds pretty cool,’ and leave it at that. Or maybe it counts as homage. Who knows? Decisions. Decisions. Watch this space. In addition, my four year old is sick, and is about as miserable as a small boy can be, and it’s made for a tricky week on the work front. I’m going to be sending out review copies later today (small boy dependent) so watch your inbox if you’ve asked for one. And if you haven’t, go ahead. I’m happy to hand out to anyone who wants one. I’ve just got A Murder of Crones back from the proofreader. All that remains is to finish off the cover (almost done), and get it formatted. I expect this will only take me a day or two. Once Amazon approves it (usually within a day), it’ll be available for sale. Yay! If anyone wants a free review copy, just let me know. Hooray! Not only is the new cover now out, but you can now also buy physical copies of The Secret Dead. At the moment, it’s only available through Createspace, but that should filter through to Amazon in the next few days. To keep the price as low as possible, I choose not to make it available for expanded distribution. This means that, for now at least, it won’t be available elsewhere or in book shops. This will probably change in the future, but for now if you want a physical copy and don’t want to go through Amazon for whatever reason, please contact me. 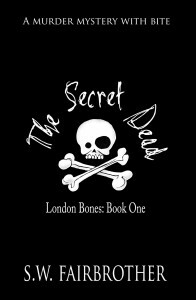 The Secret Dead is going to be free on Amazon on Monday to Thursday next week. If anyone was waiting for a freebie, now’s the time. The next book in the Vivia Brisk series, A Murder of Crones, is on its way. It’s undergoing a final proofread, and once that comes back, all that’s left will be the formatting. The cover will be revealed soon! My best guesstimate is that it’ll be out in around 3-4 weeks. Watch this space. Being dead is nothing new for Vivia Brisk. She’s been doing it all her life. It’s staying dead that’s the problem. When Vivia finds herself stuck in the Underworld, she turns to another hag for help. It comes with a deadline and a price tag. Sixty years ago, Tilde was murdered and she wants Vivia to extract vengeance. For anyone eagerly awaiting the next Vivia Brisk book, it’s coming. I promise. It’s been written, beta-read, and is currently undergoing editing. We’re on the last leg. When I published The Secret Dead, no one cared much about it, other than me. This book is different. I’ve actually got people excited to read it. I’m definitely feeling the pressure to put out a good one, and not let anyone down. So…no release date yet. It’ll be out as soon as it’s in a healthy enough state to release into the wild. Watch this space. I’ve blogged before about my concerns around ethics and authors behaving badly. 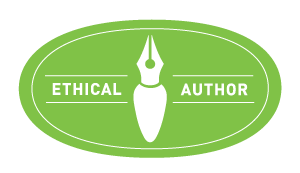 I was really pleased to get an email from The Alliance of Independent Authors (ALLi) this afternoon detailing the launch of their latest initiative – an Ethical Author Code of Conduct. Jane Steen has blogged about it here, so I won’t repeat the message, but this is overdue and much needed in the writing community. Go ALLi! I’m behind you all the way. For the record, I officially agree to abide by the below Code of Conduct.